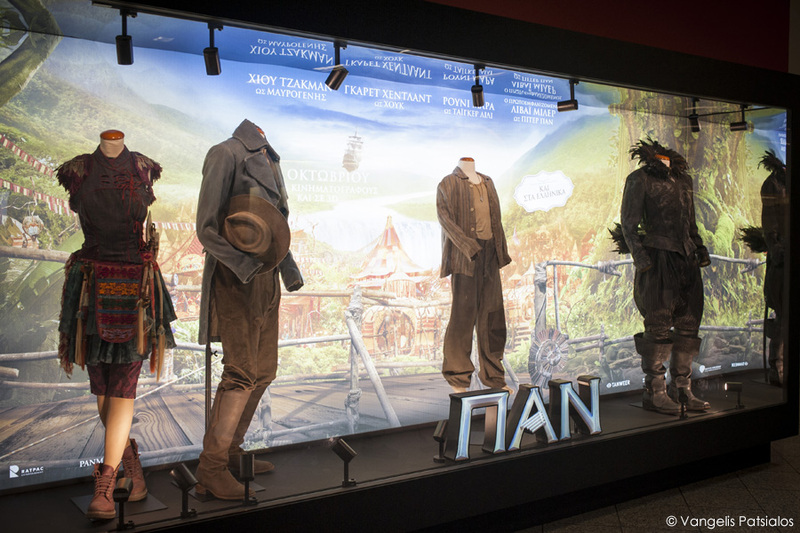 Athens travels in Neverland, thanks to the original costumes of the PAN movie. Those who visited the metro station of Syntagma,on the morning of October October 16, were presented with a pleasant surprise. At 5.30 am, upon the opening of the central station, a unique exhibition of costumes was officially launched, on the occasion of the opening in Greek theaters of the “PAN” movie, on Thursday October 22. Passengers and visitors have had the opportunity to immerse in Neverland and Peter Pan’s magical world, to see closely the original costumes of the four main characters (Peter Pan, Blackbeard, Tiger Lily and Hook) in a display of incomparable aesthetics, combining the colorful elements of the movie directed by Joe Wright, with the outstanding costumes designed by Jacqueline Durran. The MiLo Architectural Group took charge of the art direction, creating a display compliant to Peter Pan’s aesthetics, yet highlighting the costumes. 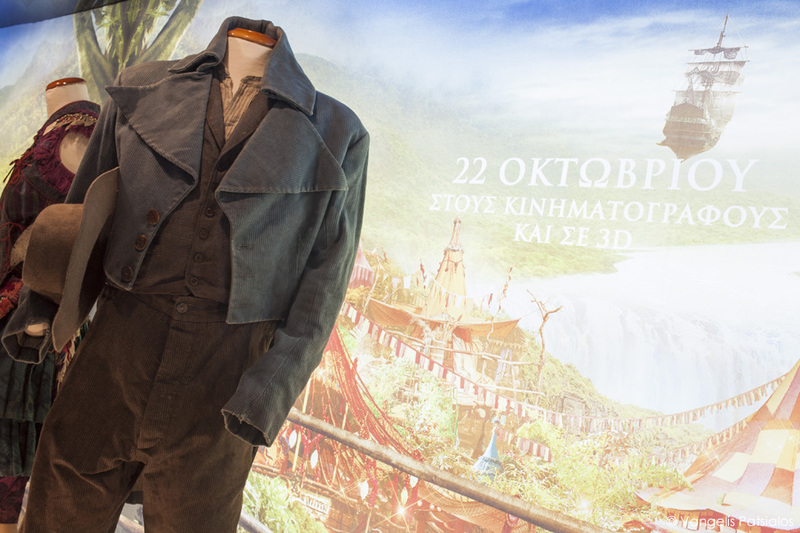 The costume exhibition held in Athens is a part of the global campaign launched for the movie. Jacqueline Durran’s creations for Peter Pan (Levi Miller), Blackbeard (Hugh Jackman), Tiger Lily (Rooney Mara) and Hook (Garrett Hedlund) are displayed in simultaneous exhibitions and events held in citiesall around the world, including Hong Kong, London, New York, Madrid, Mexico City, Prague, Dubai and Athens. 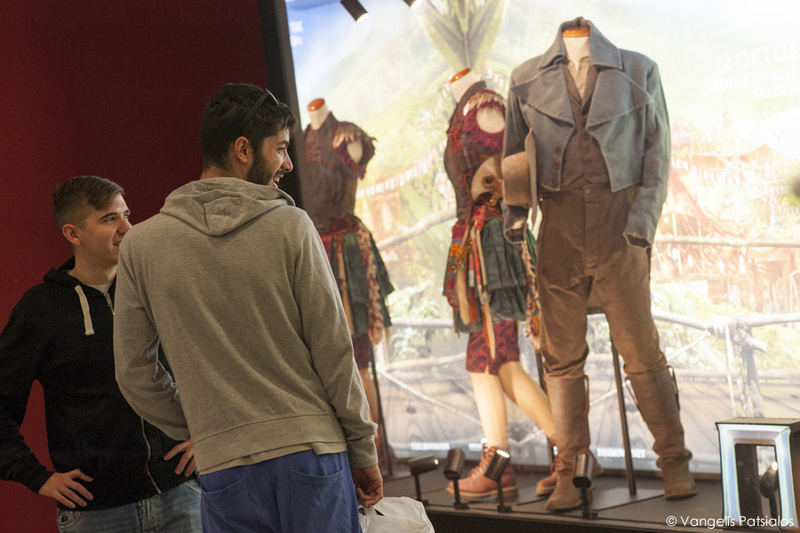 The exhibition of the “PAN” original costumes will end on Sunday, October 25. The “PAN” movie opened in Greek theaters on October 22, in 2D, 3D, subtitled and dubbed by Tanweer. Tanweer Alliances S.A. was founded in 2007. The company started being active in film and TV distribution in Greece and Cyprus in 2012. At the end of 2014, Tanweer Alliances announced its strategic partnership with Warner Bros. Pictures, the leading production and distribution movie studio around the world. Beginning on the 1st of January 2015, Tanweer Alliances undertook the distribution of Warner Bros. Pictures for the Greek market. The partnership includes a significant part of the Home Entertainment sector.